Scientific name: Morus nigra L.
Habitat and distribution: Originally from West Asia, Persia, but naturalized throughout the Mediterranean region since antiquity. 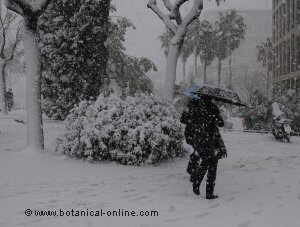 It can be found as an ornamental tree in gardens and avenues around the world. 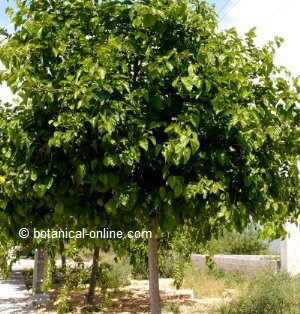 Mulberry tree (Morus nigra) is a deciduous tree with a broad crown, from 5 to 10 m. height. Trunk with bark typically cracked. Hearty, lobed or ovate leaves, with unequal teeth and acuminate apex, 7 – 22 cm. of length; 6–10 cm wide. The inflorescence is a catckin or cluster, with monoecious flowers (female flowers and male flowers in the same tree). The fruits of the mulberry are also called mulberries. They are infrutescences or multiple fruits. In summer, mulberry is loaded with plenty of fruits, and these mature between July and September. It is necessary to choose the ripe fruits, because before their maturity they are very bitter, or if they are past of maturity, they can be in bad state. The months of consumption are between the end of August and September. Black mulberries, before ripening are white, while, once ripened, become red, and at the end of their maturity, at their optimum, they are black. They have a sweet and slightly acidic taste, which makes them very appetizing and refreshing. It is used as an ornamental tree, for its wide crown and large leaves, which provide valuable shade in the summer months, in addition to its fruits. Andrés Laguna writes in the sixteenth century: “Mulberry is so friendly to human conversation that it does not wonder why it wants to live in the mountains or depopulated, but always in places frequented by men, who, with their pleasant and tasty fruit, Keeps together with meat and wine “. In many places, mulberry was not cultivated but to feed silkworms (Morus alba leaves are used for this purpose). Fruits are eaten raw or cooked, in syrups, preserves and jams. Its flavor is acid and slightly sweet. As we shall see below, black mulberry is a medicinal plant. – Oxyresveratrol and mulberoside A, as main components (leaves and roots). Black mulberry (Morus nigra) is native to the East, where it has a long history as a medicinal plant. Usually white mulberry (Morus alba) is used, but the species M. nigra has the same properties, and its fruits are sweeter. – Affections of the mouth: Galen considered mulberries as a medicine for the mouth, since the juice of them, sweet and slightly acid, is astringent, anti-inflammatory and antiseptic. 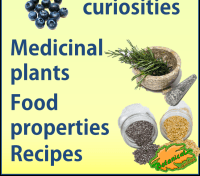 It is used for inflammations of the mouth and throat, being very effective for the pain of teeth, bleeding gums, gingivitis, sore throat, and for ulcers or canker sores in the mouth. – Cook over low heat until it gets a syrup consistency. It is taken cold by means of gargling. The strong astringency of this syrup is due to phenolic compounds. These possess properties to coagulate the proteins of the skin, forming a dry layer in the mucosa that protects it of external agents and disinfects (by coagulation of the bacterial proteins). 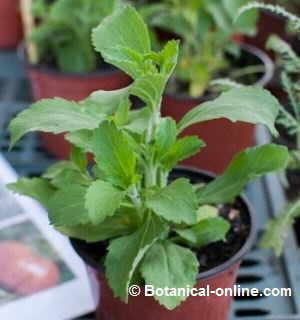 Astringency is noted for producing a rough sensation in the mouth due to dryness. Gargling with this syrup helps relieve sore throat, stop bleeding gums, fight infections and help deflate tonsillitis. There is another remedy against toothache consisting of boiling 50 g. of dry leaves in half a liter of vinegar, let cool and make rinses. – Respiratory diseases: It has been reported that mulberry may be beneficial in the treatment of different respiratory conditions, such as infections of the airways or chronic inflammations, due to its antibacterial, anti-inflammatory and expectorant properties. 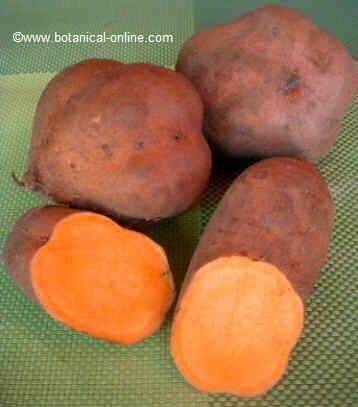 Effective in the treatment of colds, bronchitis, asthma and cough. The syrup of mulberries is also refreshing and is described as febrifuge, to relieve fever. – Diarrhea: Because of its astringent action, mulberry syrup is a historical remedy against dysentery and diarrhea. 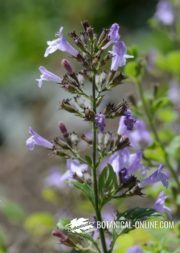 Astringency (given by phenolic compounds) contracts tissues and dries secretions, properties that are effective in stopping diarrhea and gastroenteritis, contributing to the body can perform drier depositions. – Intestinal parasites: The bark of the tree is purgative and vermifuge, and in the times of Dioscorides, they used the cooking of 1 tablespoon of dry bark in a liter of water, taken in an empty stomach, to expel tapeworms. In different ancient treatises, mulberry bark is recommended to expel intestinal worms. – Antioxidant: Mulberries and their juice are very rich in natural antioxidants, among them vitamin C, anthocyanins and other flavonoids such as quercetin. 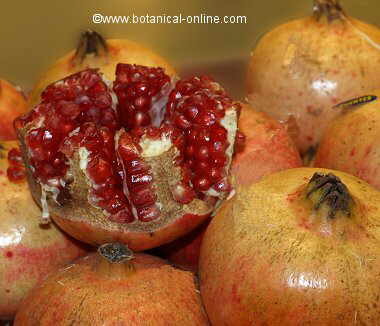 Antioxidants help prevent oxidation of fats, prevent atherosclerosis and help improve heart health. 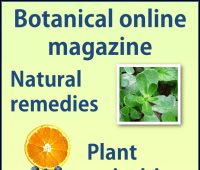 – Dermatitis: For its emollient, anti-inflammatory properties, drinking juice is recommended in the treatment of dermatitis, eczemas and rashes. 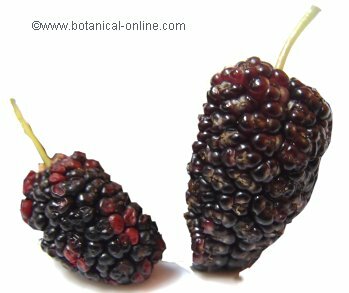 – Eyes diseases: Because of its content in anthocyanins, which protect the capillaries of the retina, mulberry plays a protective role of sight. Foods with anthocyanins such as mulberries are recommended for people with tired eyesight, who spend many hours in front of the screen, conjunctivitis or glaucoma. – Diabetes: Because of its antioxidant properties, the extract has been shown to reduce glycosylated hemoglobin and cholesterol levels. – Burns: Dioscorides explains a remedy against burns: some mulberry leaves crushed in oil, and applied on the burn. 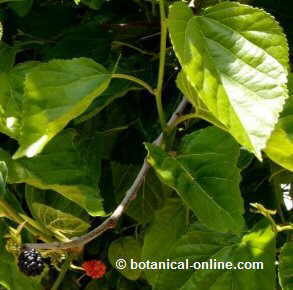 – Healing of wounds: For its hemostatic properties to stop the bleeding, the juice of mulberries can be used in case of wounds. – Skin spots: Scientific studies have discovered that the components present in leaves and roots (oxyresveratrol and O-β-D-glucopyranoside), have a tyrosinase inhibitory activity. Tyrosinase is an enzyme that favors the appearance of blemishes on the skin. One of the substances most used to slow the action of tyrosinase is kojic acid, present in cosmetic products. A study shows that mulberry components are even more effective than kojic acid, this may be a principle for further research into the possible cosmetic uses of morale. – Gray hair: In ancient times mulberries were used to dye the hair and premature gray hairs. 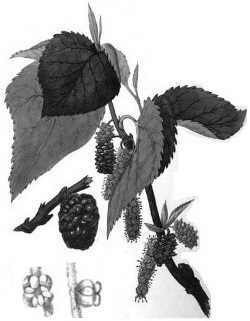 More information on mulberry and other berries.